Lock in a great price for Faik Pasha Suites Special Category – rated 9.1 by recent guests! Staff was helpful, breakfast was really good and our room was spacious and had great light from both sides of the building. 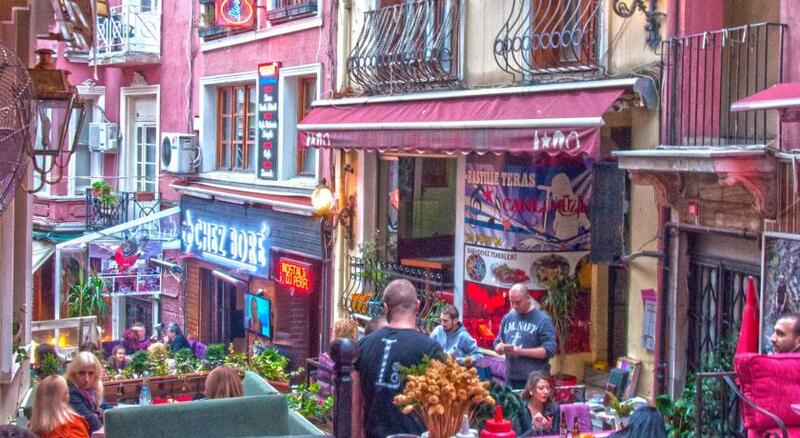 The location was probably the best perk, great area in Istanbul! A second stay booked for my Chinese friends at Faik Pasha was even better than the first! I feel at home in this property, both the owner and staff make me so comfortable that I feel difficulty leaving the place and hit the places to visit.. The breakfast is unique and very filling, both the breads and cakes made by the owner and staff are yummiest ever; many thanks! The staff was amazing ! The owner even made me a sandwich and gave me coffee !! I loved stayed here. I slept really well. I would return. Decorations. Home made Breakfast. Staff. 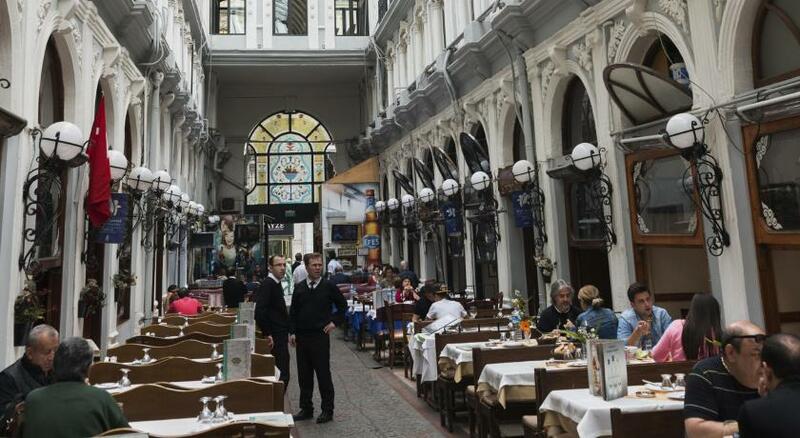 Location near to istiklal street. 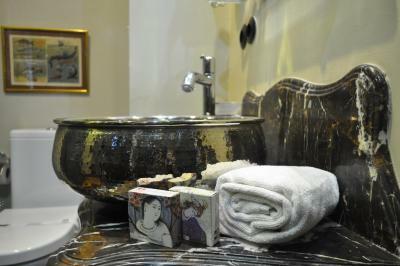 The lovely staff atmosphere, the cleanliness of the room and the ideal location; calm yet very close to the city action. Most of all i loved how much the rooms are equipped and the warm reception. Staff was friendly hotel was clean and food was nice. The breakfast was delicious and fresh. The staff were attentive and hospitable. The management and other staff were incredibly accommodating and pleasant. They made sure we were able to move to a more accessible room due to my mother’s mobility issues. The location, breakfast, and rooms were excellent. Highly recommend this, especially to families. 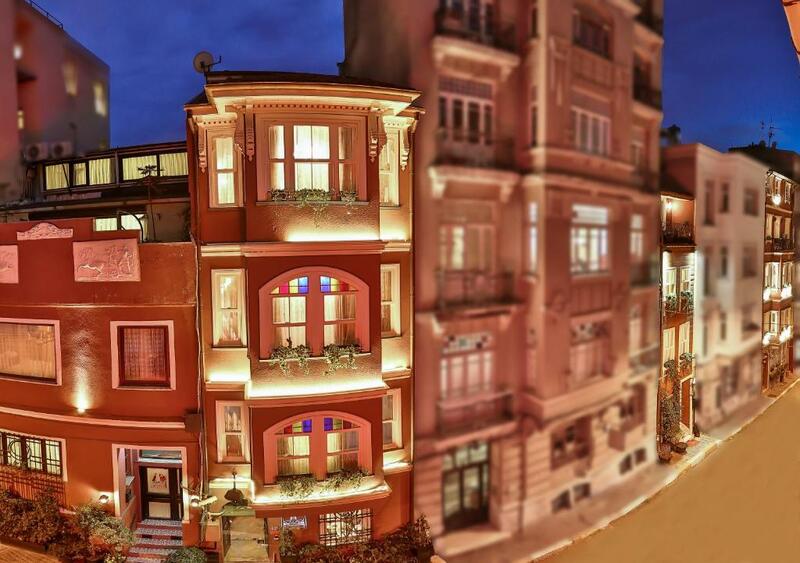 Located only 1,150 feet from the lively Istiklal Avenue, Faik Pasha Suites - Apartments offers air-conditioned rooms with free WiFi throughout. Free wired internet is also accessible in the business center. 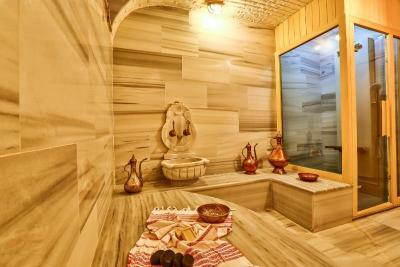 The hotel, which was built in 18th century and renovated according the original construction techniques, has a spa center and a Turkish bath. The elegant rooms and suites of Faik Pasha are decorated with antique furniture and wooden floor. Each room and suite includes a full HD TV with satellite channels, a coffee machine, iPod dock, mini-bar and an electric kettle. A Blueray DVD player and 3D glasses are available. The suites have a kitchenette. Some suites have a balcony that features Old City views. 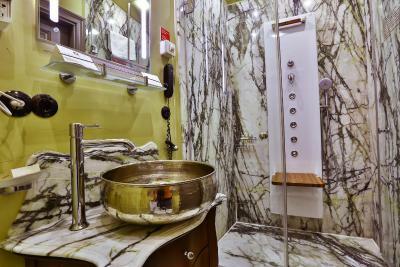 All suites have specially designed bathrooms with handmade metal basins, and marble walls and floors. 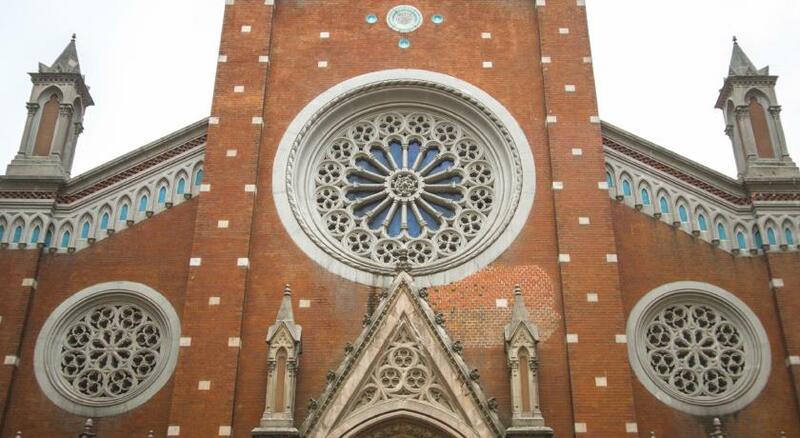 Guided city tours and shopping tours can be organized upon request. Daily breakfast is served as an open buffet with homemade breads, cookies and freshly made omelets. There is also a café that serves a variety of toasts, salads and manti (a ravioli-like dish served with yogurt). The on-site restaurant offers several dishes from Turkish and Italian cuisine. On certain Sundays, live jazz music accompanies your brunch. 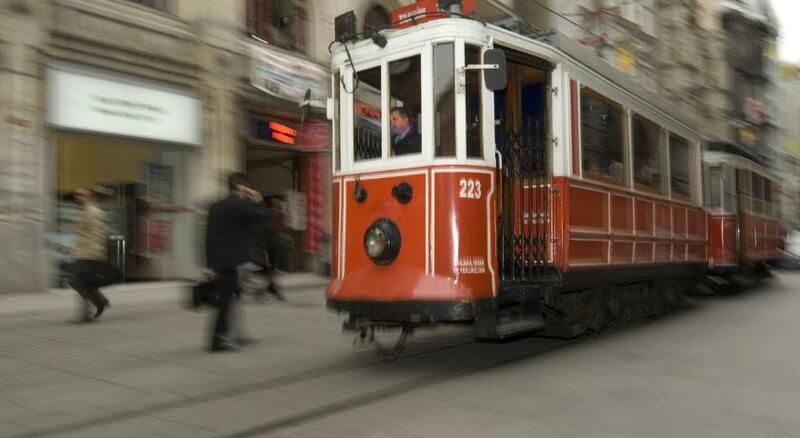 Galata Tower, Ferry Ports and Sishane Metro Station are both 0.6 mi from the hotel. Ataturk International Airport is 12 mi away. Guests can also visit Cukurcuma which includes many antique shops. Museum of Innocence is just a few footsteps away. 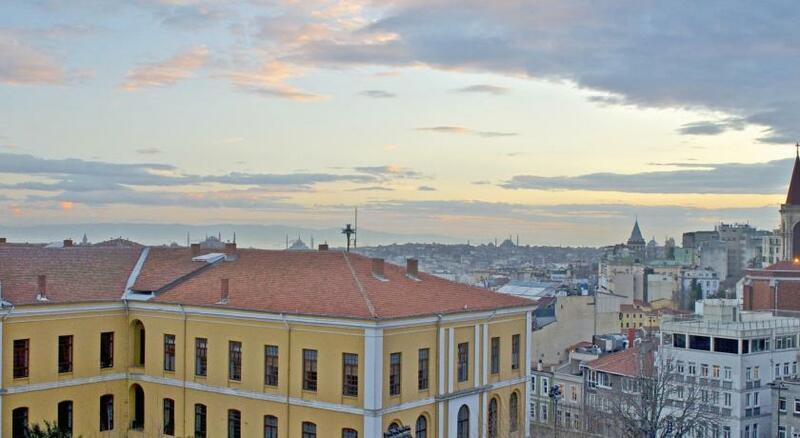 Pera Museum and Istanbul Modern Art Museum are 0.6 mi away from the property. Istanbul Airport is within 33 mi. 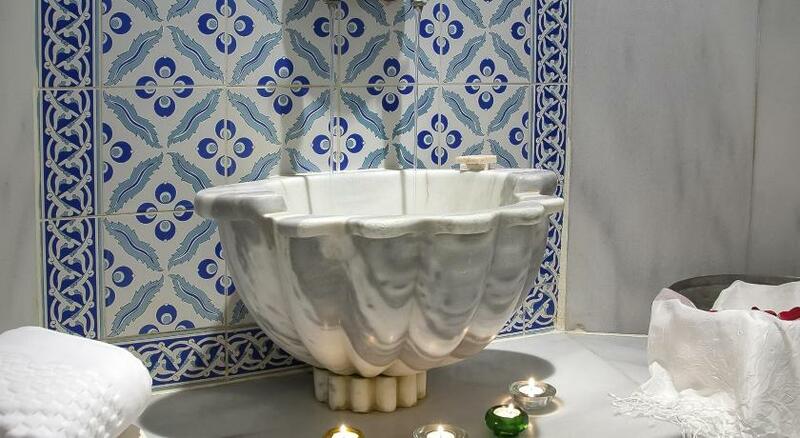 When would you like to stay at Faik Pasha Suites Special Category? This room includes a flat-screen satellite TV, DVD player, mini-bar, air conditioning, coffee machine and an electric kettle. One of the rooms is located on the top floor, this room features a sloped ceiling and another one is in the third floor and offers a terrace. In some superior rooms there is a capacity for the third bed. 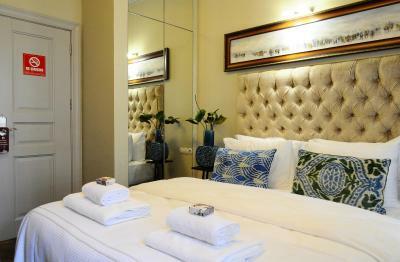 This spacious suite has 2 bedrooms (a double bedroom and a single bedroom) and a study room with free Wi-Fi access. It includes a flat-screen TV with satellite channels, air conditioning, coffee machine and an electric kettle. It also offers a seating area and a kitchenette. If required an extra bed could be added. This spacious suite includes a flat-screen TV with satellite channels a Blue-Ray DVD player and 3D glasses, air conditioning and an electric kettle. It also offers a seating area, a coffee machine and a kitchenette. There is capacity for an extra bed in this suite. This apartment has 2 bedrooms, a living room and a fully equipped kitchen with a dining table. There is a mini-bar stocked with alcoholic and nonalcoholic drinks, a washing machine and a full kitchen with a dishwasher. A Smart HD TV, iPod docking station and a DVD player are also available. The apartment also has a small balcony. House Rules Faik Pasha Suites Special Category takes special requests – add in the next step! Debit card Faik Pasha Suites Special Category accepts these cards and reserves the right to temporarily hold an amount prior to arrival. Faik Pasha Suites Special Category accepts these cards and reserves the right to temporarily hold an amount prior to arrival. The hotel has 2 different penthouse suites in 2 different buildings. Reservation will be made according to the availability. Please note that room service is not available after 21:00. Please inform Faik Pasha Suites Special Category of your expected arrival time in advance. You can use the Special Requests box when booking, or contact the property directly using the contact details in your confirmation. Unfortunately, our room was on the top floor (3rd floor) and I had a semi-injured partner who didn't enjoy the staircase as much, not that this is their fault, just speaking from my experience. As lovely and authentic the breakfast room is, it was filled with cats going around your feet waiting for bites to come off, I am disgusted by cats, as much as some people are delighted about them, and again, this didn't seem to be the hotels' issue, but Istanbul in general. Default temperature in the room was super high, even though we asked that to be fixed, heaters were continuously set very hot. The family that runs the hotel is extremely hospitable and welcoming. Would definitely recommend. We loved the place. It is very clean and nicely decorated. Stuff was very friendly, helpful and assisted us with different questions. As a group we had a nice and pleasant stay in the Hotel. Nothing, we got what we were looking for. Perfect location, extremely kind and helpful stuff, good breakfast, very comfortable beds, and not for last - perfect price. Don’t miss to visit. Everything was great! Breakfasts were amazing! Very sweet workers of the hotel! Nice location! Love the area! 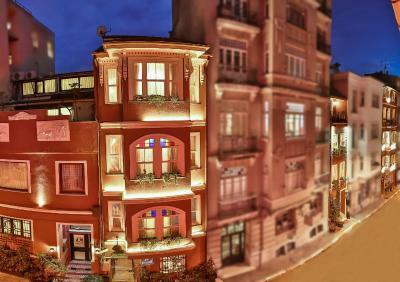 Highly recommend to stay here, if you want to enjoy Istanbul! Best wishes to everyone at Faik Pasha Suites from Olena, Mariia and Yuriy!